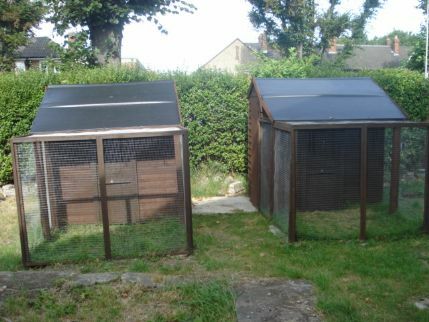 Eltham Hen House provides safe and secure pet boarding for chickens and other small animals incl rabbits, guinea pigs, hamsters etc. We can also provide a drop off and collection service for pet boarding for a small fee too! We do home visits to care for pets that would rather stay at home and are reliable and trustworthy key holders. We are DBS Certificated and we have many years experience caring for animals. Eltham Hen House sponsors Battersea dogs & cats home every month. We do claw clipping and are experienced in giving insulin via needles to cats. We offer a range of different accomodation for all size pets - we have cages ranging from small to large, outdoor and indoor including our chicken boarding pens that offer great inside & outside space, your hens will be sheltered from the good and bad weather! We insure all of our boarding pets receive regular excercise, our outside space is extreamly large, safe & secure. If you have an indoor pet but would like them to have outdoor exercise this is no problem, we have a 7ft run available and the outdoor pens too. We have a vets practice within 5 mins walking distance for any emergancies, all of our boarders are clean and happy and cared for in the same way as our own pets. Please note under no circumstances do pets share cages or come into contact unless they have come to board together, and all cages are totally cleaned out after every boarder has gone home. Please see our website for our prices of boarding or contact us for home visit and drop off/collection prices - We are flexible and can always accommodate - Please note unlimited cuddles are of course free of charge! We do offer claw clipping for rabbits and guinea pigs for a small charge. Home feeding visits. We also offer a drop off and collection service for a small charge for people who have no transport or just dont have time to travel! Please ask for details! My guinea pig is seriously ill and will end up being put down shortly. Left it there with another one for 10 days, and got one of them nearly half dead and not much responsive. As much as I cannot say if the issue came from moving places, journey or food provided, I am though really unhappy that i wasn't informed earlier that it stopped eating, that it wasn't taken to vet - or no action was taken, was just left there to die, and during pick up heard lots of lies that it's just quiet one. I would personally avoid this place. Boarders Response:Firstly I have to say we are sorry for your loss and have since been made aware your piggy has been put to sleep. We take the upmost care with all of our boarders and own pets alike, sadly we was informed before boarding that this particular piggy had been dropped from a sufficient height to have broken its top teeth and was struggling to eat. From the beginning the piggy was very quiet while the other was lively this can be very normal in pairs. We tried various foods whilst they were in our care Incl peppers, carrots, kale etc and in fairness its hard to gage who eats what amount when in a pair but was pre warned of the lack of eating due to teeth. They were brought along in a carrier with no door and one was quiet from the start and was the same for the 10 days, this was not lies. It was not left to die in any way, and as we was pre warned at the start and the condition stayed the same we didn't have any cause to seek the vets opinion. We always leave our guinea pigs with Darren and Lisa and they always look after them really well. I know they take guinea pigs, rabbits, hens, parrots, tortoises and other small pets. Our rabbit Lola had a lovely time in Eltham Hen House. The owners love small animals and looked after her very well giving her lots of cuddles! Whilst we were away they sent us photos of her which was a lovely touch. She came back home very happy. Thank you! I board my Quaker parrot to Eltham hen house on March 2017 for 5days. Owner is very friendly and explained everything they can offer. I got feeling that they are expert for small animals! My parrot come back with well look after and clean And happy . Price is very reasonable and I really recommend for anyone need pet boarding. We left our two bunnies to spend Christmas and New Year at Eltham hen house. The owners are very accommodating with pick up times. The weather was horrendous but they made sure they were dry and warm. Upon collection the bunnies looked very calm so I think bunnies had a great time!. Highly recommended! I recently had my rabbit stay at Eltham House for ten days. The owners are lovely, the prices are really reasonable and my rabbit returned home well looked after and happy. The drop off and collection service they offer is really useful for busy people too. Will be a returning customer I'm sure! We are situated just off the A2 slip road for the junction of Westhorne Avenue Eltham SE9 6DR - please see our website for location and map.